These clips from “Beat Club”, a German TV series which ran from 1965 to 1972, are some of the best preserved appearances by artists from the 1960’s. The quality of sound & vision of the American series (“American Bandstand”, “Shindig”, “Hullabaloo”, it’s a list) is often too poor for repeated viewing while the BBC had a cavalier attitude to all of their archive, not just music, which bordered on disdain. You don’t know what you got till it’s gone. Here are 3 fine examples of singers who travelled over to Germany to have their performances captured in sharp monochrome. 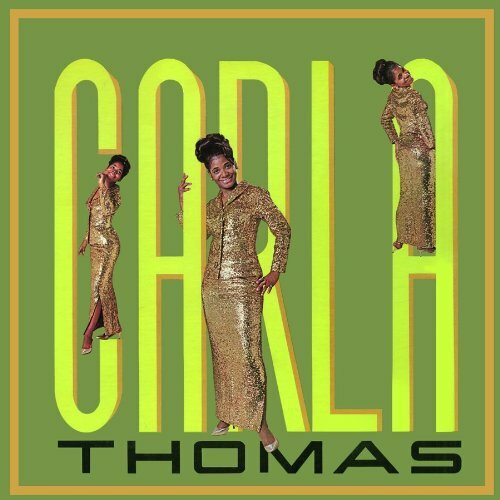 Carla Thomas, the Queen of Memphis Soul. Her Daddy, Rufus, when he was not walking the dog, was a DJ & mentor of local black talent. His beautiful teenage daughter was recording for Satellite Records before it became Stax. 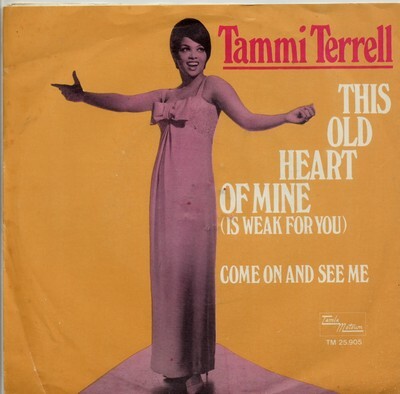 It was her Top 10 hit “Gee Whizz (Look At His Eyes)” in 1961, when she was 18 years old, which alerted Atlantic Records to the talent to be found at East McLemore Ave in South Memphis. In 1966 “B-A-B-Y”, a production with more than a touch of Tamla Motown, was her most successful recording since then. The song was written by Isaac Hayes & David Porter, a young team who were just getting the knack of how a hit Soul tune went. I’m told by a young person that the song appears in the film “Baby Driver” (2017), an entertainment designed for those whose attention span has been worn to the nub by technology & which I found mildly irritating. 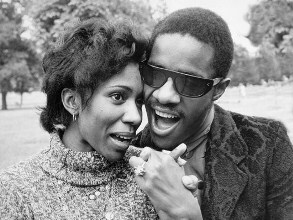 The following year Carla made an LP of duets with Otis Redding, “King & Queen”, which is as light, as pop, as anything the label recorded. It endures as an entertaining one-off, the final LP recorded by Otis. The stand out track, “Tramp” crackles & fizzes with chemistry & wit. 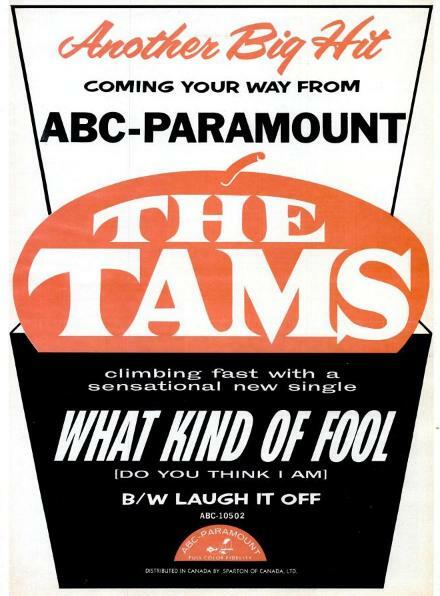 I loved it on the radio in 1967, still do. Aretha was the undisputed “Queen Of Soul” but when she came to Memphis there was r-e-s-p-e-c-t & fealty to be paid to Rufus Thomas’ little girl Carla. Madeline Bell from Newark, New Jersey came to the UK in 1962 as a performer in the Gospel musical “Black Nativity” & stayed. She became friends with Dusty Springfield, the best of our female singers & added backing vocals on many sessions. She got a deal with Phillips, Dusty’s label, & recorded 2 LP’s there in the 1960’s. The material chosen for her was a mix of Pop-Soul & supper club sophistication & as a result she never really found her own audience. There are clips on the Y-tube that all display her range & facility with any style. 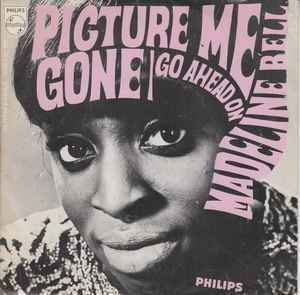 We’ll go for “Picture Me Gone” from the “Bell’s a Poppin'” LP (1967) because I love this song. Songwriter Chip Taylor & session guitarist Al Gorgoni combined to write & produce the song for Evie Sands (that’s the fabulous…), just one of the many of her records that should have been but weren’t. Right (gulp! ), stop me if I’m oversharing here. In 1969 I lost my virginity in the back of a friend’s father’s Ford Cortina Estate car (cue Ian Dury). The back seat was down, I am not an animal. When we returned to the church hall the first record that the lovely mini-skirted Modette who was my companion & I danced to was this one. So, excuse the silly smile on my dial whenever I hear “I Feel Love Comin’ On” by Felice Taylor. I did, honestly, already like the song when it was a UK hit in 1967. In California Felice was matched with Barry White & his partner Paul Politi. Later, when Barry got big, the “Walrus of Love” re-recorded her other 2 singles “It May Be Winter Outside” & “I’m Under The Influence of Love” with his backing group Love Unlimited. 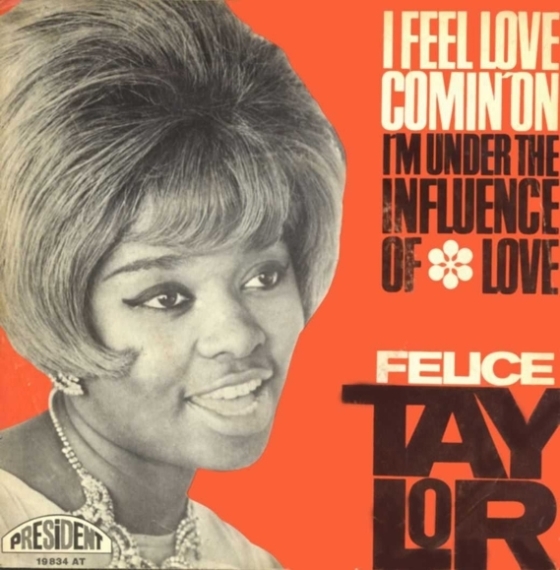 “I Feel…” was leased for the UK by President Records & as Felice had not much going on back home she made a record with the label’s hit group the Equals. “Suree Surrender” is not his best work but if you are an Eddy Grant completist, as I know some of you are, then this meaty, beaty tune is just a click away. In the mid-1950s in Cabrini-Green on the North side of Chicago 2 school friends, part of the Northern Jubilee Gospel Singers, were looking to get serious about their music. Jerry Butler was 2 years older than Curtis Mayfield but Curtis came along when Jerry hooked up with the Roosters, a doo-wop group from Chattanooga Tennessee. 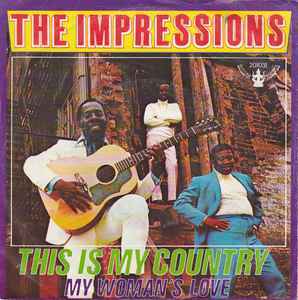 In 1958, the group now known as Jerry Butler & the Impressions, Mayfield still only 16 years old, made the US Top 20 with their first record “For Your Precious Love”. Butler, who co-wrote the hit, delivers a dramatic, heartfelt vocal which belies his teenage years. They were young men who got it right the first time & were encouraged that their creativity in writing & performance would find an audience. There was just one more 45 from this group before Jerry became a solo act. 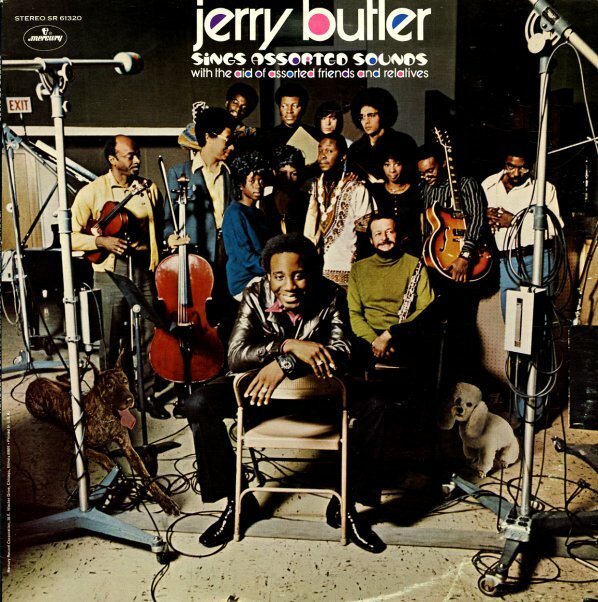 Over the following 20 years Jerry Butler’s name on the record became a guarantee of quality & excellence. Like his contemporaries, Sam Cooke & Marvin Gaye, Butler aspired to the LP sales & supper club cabaret success of Nat King Cole. His first solo LP is heavy on the orchestral & chorale arrangements. On signing to Vee Jay he got back with Curtis. One of the 4 songs they wrote together, “He Will Break Your Heart” put him in the Top 10. Jerry recorded the original version of “Make It Easy On Yourself” with Burt Bacharach. In the UK the Walker Brothers nicked the hit but, for me, Butler is definitive. The standards & the ballads were assured, the danceable Chicago Soul from Mayfield/Butler sounded great & they made a most acceptable mix. When Curtis placed a higher priority on his own group, the Impressions, Jerry’s LPs played a little safe. 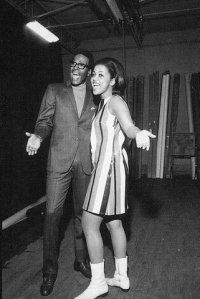 A sweetheart Soul duet of “Let It Be Me” with Betty Everett was a smash.”The Soul Goes On” is a collection of covers. 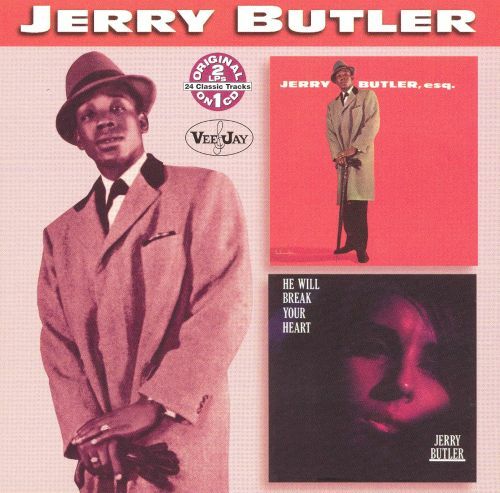 His style had less grit than the new Memphis Soul but Jerry Butler knew where the action was. He & Otis Redding wrote “I’ve Been Loving You Too Long” together & that song is about as good as it gets. A Philadelphia DJ dubbed Jerry “The Ice Man”. When he was matched with upcoming production team Kenny Gamble & Leon Huff they ran with it & “The Ice Man Cometh” (1968) was his biggest selling LP. This is commercial Pop-Soul at its best, with many of the elements that would make the producers so successful in the near future. 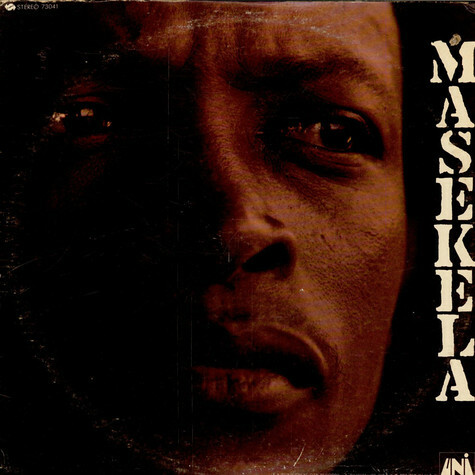 The lyrics are mature & emotional, the songs packed with hooks to catch your ear. Five singles were released from the LP, three more from the following “Ice On Ice”. Seven of these eight made the R&B Top 10. I carried a cassette collection of these 45s around for years. It’s a tough call to include only one of them here. “Never Give You Up”, “Hey, Western Union Man”, the fantastic “Lost”, it’s a list…3 minute dramas, not a second wasted. “Only The Strong Survive”, the most successful of all, gets the shout because I still find the simple guitar figure under Jerry’s intro, before the big chorus & the sweeping strings, to be irresistible. Gamble & Huff produced 15 Gold singles, 22 Gold albums. In 2008 they were inducted into the Rock & Roll Hall of Fame & it was Jerry Butler, a member since 1991, who stepped up to do the honours. In 1970 Gamble & Huff went off to do their own thing with Philadelphia International records. Jerry’s old spar Curtis was busy with his own label, Curtom but the rest of the Chicago crew were still around. 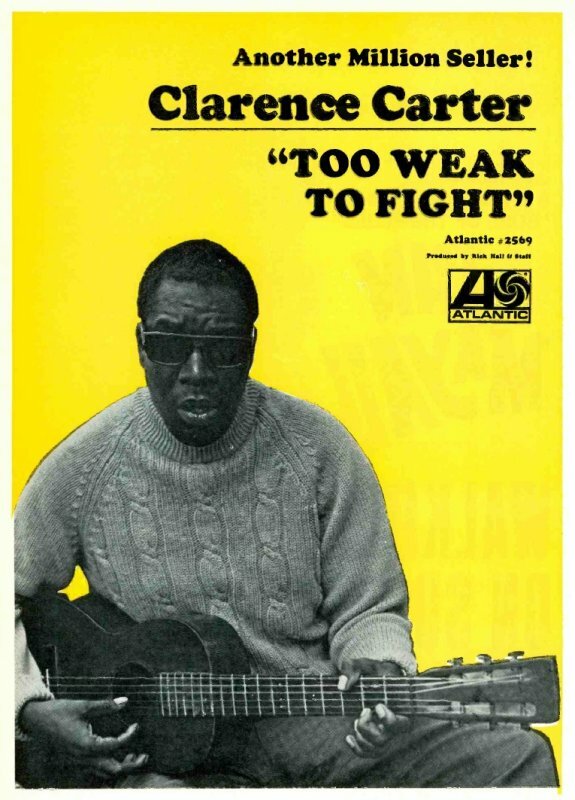 “One on One” is an LP shared with Gene Chandler, a million seller with “Duke of Earl” in 1962, another who had benefitted from Curtis Mayfield’s songwriting skills & back on the scene with a “Groovy Situation”. Black music was getting all funked up. Gene & Jerry take it to the street on “Ten & Two (Take This Woman Off The Corner)” , a busy version of James Spencer’s original which deserved a wider hearing. 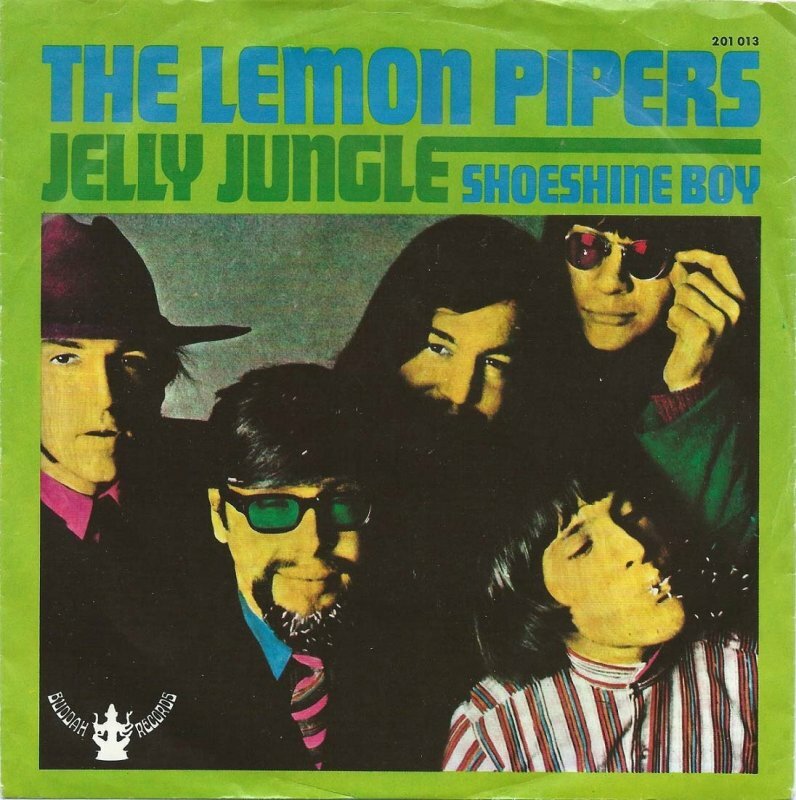 The subject matter, pimps & prostitutes, was possibly a little too strong for radio & for fans of the singers’ lighter output in the past decade. The ponderously titled “…Sings Assorted Sounds With The Aid Of Assorted Friends & Relatives” employed the same musicians, arranger Donnie Hathaway, brother Billy Butler & backing singer Barbara Lee Eager. The New Thing is incorporated but Jerry’s style was not going to change too much. He & his associates had been making records for a long time & they knew what worked for them. 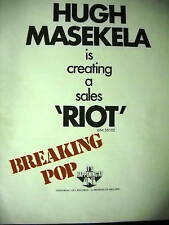 At the time Curtis Mayfield was recording the coolest original soundtrack to a movie ever. “Superfly” confirmed his membership of the new Soul aristocracy, writing, performing & selling millions of their own LPs. I would not claim that “…Assorted…” belongs in such company but it’s a classic of mature Chicago Soul. The opening track “How Can We Lose It” sounds like a hit to me & sets a standard which is matched by what follows. Jerry continued to record on Mercury records then, in the Disco years, with Motown before returning to Gamble & Huff. There were more duets with Barbara Lee Eager & with Thelma Houston & enough quality from this period to decorate another one of these posts. In 1970 he & brother Billy appeared on US TV. They went back to “I Stand Accused”, a song they wrote together & released in 1964 on the same single as “Need To Belong”. Now that’s a small vinyl disc that’s worth having around & so is this one-off, intimate, informal version. Jerry Butler is still around. By all accounts what you see, a stylish, dignified, articulate man, is what you get. Still in Chicago, he has served as an elected commissioner of Cook County since the 1980s. When he performs his great hits the pride & pleasure he takes is transmitted to his audience. It’s 60 years now since he & Curtis hung out at Wells High School working out how to capture a moment of emotion in a simple, memorable pop song. Those young boys were into something good back then. As styles & taste changed they continued to finesse their skills while never forgetting why & where they started out. Very little is known about Betty James. She was in her 40s, singing in Baltimore clubs with her husband as guitarist & musical director, when, in 1961, she was offered the chance to record by the New York based label Cee Jay.Her song was a hit in Pittsburgh & the track was picked up by Chess Records. 55 years later “I’m a Little Mixed Up” abides as a classic good enough to rank with all the other ones to emerge from 2120 South Michigan Avenue in Chicago. There’s both kinds of music here, the Rhythm & the Blues with little embellishment to a straight ahead 12 bar structure. Ms James’ vocal is urban & urbane, neither Blues shouting nor Gospel pleading. The guitar part, whether played by Mr James or by studio guy Tarheel Slim, is a loose, insistent, infectious delight. The record gained some attention in Modernist dance clubs with an ear for good American music. My knees & hips are no longer what they were but I’m still a cool jerk attempting an approximation of the Twist whenever I hear this tune. The following year Betty sang “I’m Not Mixed Up Anymore”. There was one more single for Chess, another released as Nadine Renaye & those 8 tracks are all we have. Listening to “I’m a Little Mixed Up” is a fine way to spend 3 minutes. Betty Harris started in New York too. She was just in from Florida when she auditioned for producer Bert Berns with a measured, impassioned version of Bert’s hit for Solomon Burke “Cry To Me”. 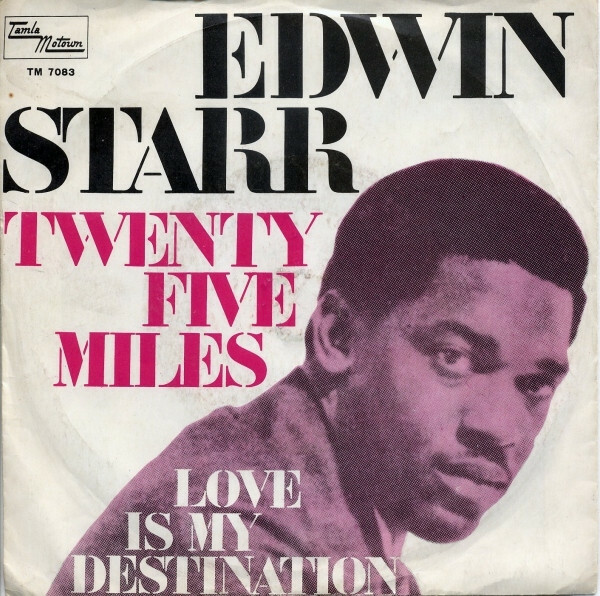 The subsequent release was a Top 30 national hit in 1963 and the following year there were 2 more 45s on the Jubilee label. The record buying public & American radio stations were pre-occupied with the British Invasion in 1964 & Betty was unable to catch that wave. She signed a new deal with Sansu Records in New Orleans. Sansu was a new label started by partners Marshall Sehorn & Allen Toussaint. 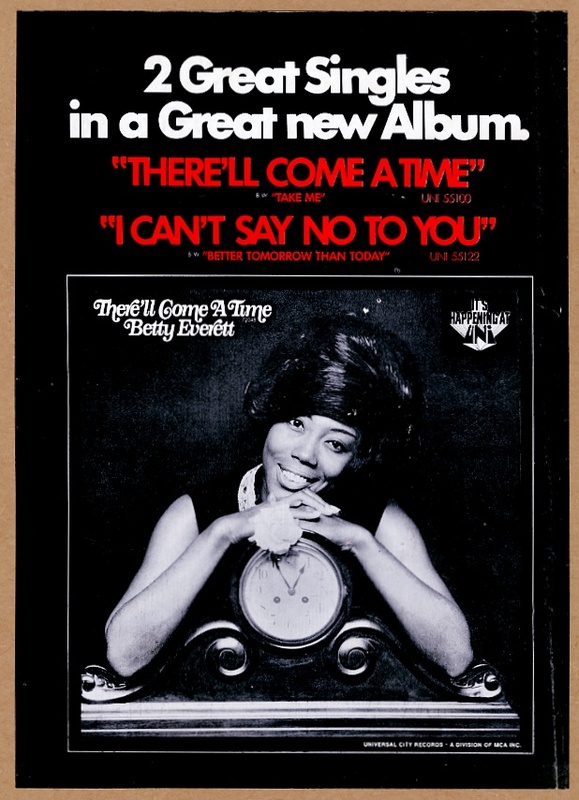 It was an opportunity for composer/arranger/producer Toussaint to run his own studio operation & Betty’s “What a Sad Feeling” was the first track to be released. It’s a perfect sweeping Pop-Soul ballad, an update of Toussaint’s earlier work with Irma Thomas. There were to be 10 singles by Betty Harris for Sansu, “Nearer to You” was an almost-hit. She came down to New Orleans to add her vocal to tracks created by the master & his house band who were to become the Meters. There’s a private number on a duet with the great James Carr & a shared credit with Lee Dorsey for the infectious floor-filler “Love Lots of Lovin'”. Toussaint produced over 30 singles for the label, taking the rhythms & melodies of the New Orleans tradition & moving them forward. For Betty’s last single in 1969 everything the Sansu crew did was gonna be Funky. “There’s a Break in the Road” is a fantastic one-off. On his “Yes We Can” LP Lee Dorsey was given great songs with similar New Orleans funk pyrotechnics. It’s a pity that there was no LP made with Allen Toussaint but their collaboration makes Ms Harris a contender for the Soul Queen of New Orleans belt. I have it on good authority (the Internet, so it must be true) that the featured funky drummer here is James Black from Eddie Bo’s group. As James showed on “Hook & Sling (Part 2)” his groove was quite a show-stealer in 1969. Betty made little money from her records & in 1970 she retired from music for 25 years to be with her family. Her 28 track legacy is impressive. With 3 being, as you know, the magic number there is room for only one more Betty today.In contention is Betty Everett who shoop-shooped to an international hit with “It’s in His Kiss”, recorded a sweet LP of duets with Jerry “the Iceman” Butler & hit the heights with the atmospheric “Getting Mighty Crowded”. If Betty Wright had only recorded “Clean Up Woman” & “Shoorah, Shoorah” (Toussaint again) her reputation would be high.It’s Bettye with an “e” who makes the cut. A recording artist for over 50 years, who only last year received a Grammy nomination for her latest LP. 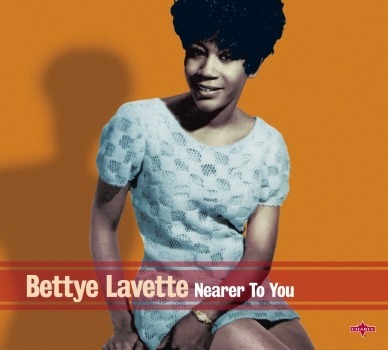 In 1962, just 16 years old, Bettye Lavette’s first record, “My Man is a Loving Man” was a hit. She toured with the stars of the day, had a spell with the James Brown Revue & recorded for a couple of local Detroit labels. “Do Your Duty” a direct tasty plateful of Memphis Soul Stew was recorded with the Dixie Flyers & when she signed with Atlantic they sent her to make an LP in Alabama with the Muscle Shoals Rhythm Section. Things must have been looking & sounding good for Ms Lavette when “Child of the Seventies” was completed but the major label disagreed & the LP was shelved. 2 singles from the sessions, a Soul take on Neil Young’s “Heart of Gold” & an emotional version of Joe Simon’s “Your Turn to Cry” only added to the legend. It would be almost 30 years before we got to hear the whole shebang. Just one click will get you her cover of Free’s “The Stealer”, confirming that a cloth-eared someone at Atlantic made a big mistake. 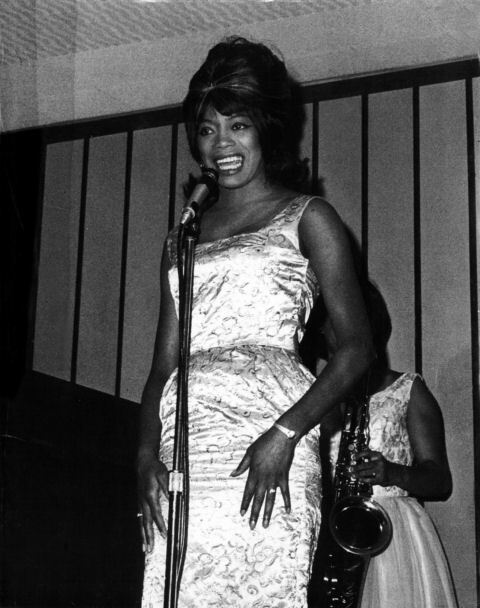 While Bettye’s recording career became more sporadic her range & versatility led her to the touring company of the musical “Bubbling Brown Sugar”. European interest in that lost album instigated a revival & she was ready for the 21st century. “A Woman Like Me” (2003), made with producer Dennis Walker (Ted Hawkins, Robert Cray, B.B. King), is a modern, mature Soul-Blues collection. As well as her fine voice, one of the keys to her new success was a shrewd choice of material. 2005’s “I’ve Got My Own Hell to Raise” used songs written by female composers while “Interpretations” (2010) found nuance & depth in British Rock classics. The misty eyes of Roger Daltrey & Pete Townshend as Bettye performs a stunning “Love Reign O’er Me” in tribute to the Who is a lovely sight. Ms Lavette returned to Muscle Shoals for “The Scene of the Crime” (2007), more cool covers backed by the Drive-By Truckers. 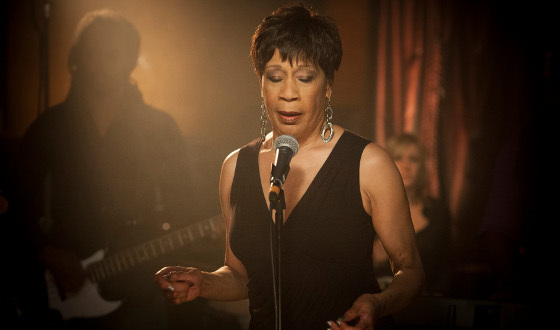 The original, autobiographical “Before the Money Came (The Battle of Bettye Lavette)” is co-written with Patterson Hood. She has quite a story to tell & it’s great that she has the opportunity to tell it while making new music & memories. After leaving university I took a job in a drop forge, banging the crap out of hot metal. That’s what they used to do in the Midlands industrial crucible the Black Country. The place was noisy, dirty & you counted your fingers after every shift but I’d spent my summers working in a noisier, dirtier steel works, I knew the game. The men & women I worked alongside, despite their sometimes impenetrable accent, could not have been more welcoming of an overeducated longhair (that would be me). When Keith heard that I was saving for a proper top of the range stereo system he showed up the next day with some spare gear & insisted that I took it until I was sorted. Keith had 5 years on me, he was married & held a black belt in Karate. He had been a skinhead, a top man in the Wolverhampton Wanderers crew. Before that he was a Mod, a young kid not a Face. His own “Quadrophenia” moment came when he got out of his brain on the 5.15 to Birmingham & joined his tribe to witness a performance by Tamla Motown sensations the Temptations. For a young, blocked-on-blues Mod around 1968/69 a Temptations concert must have been the epitome of Cool. 5 very sharp dressed men moving in perfect synchronization, delivering hit after perfectly crafted hit, was a very fine musical experience. 20th century American music has a tradition of harmony vocal groups through gospel, blues, jazz, country, rhythm & blues, doo-wop & pop. The music made by the Temptations defined the new vocal group sound, music that was made 50 years ago but can still be considered modern. 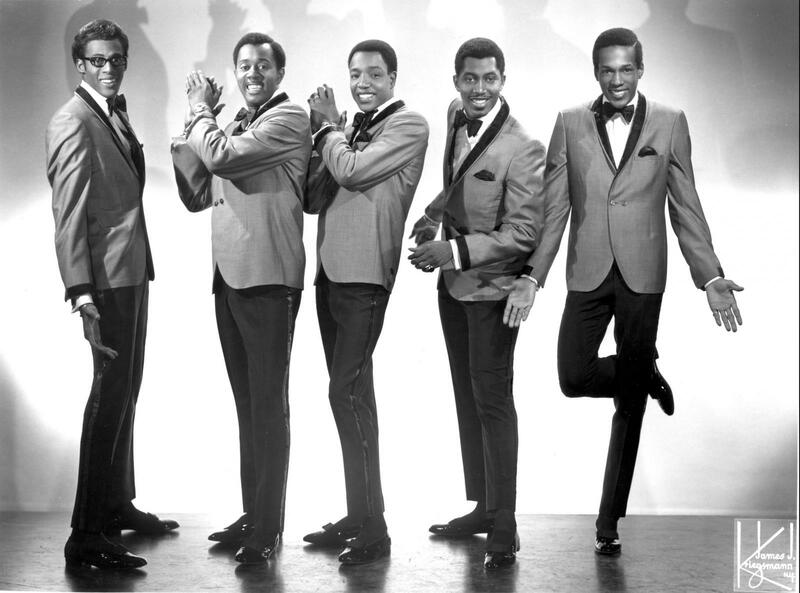 The Mills Brothers, The Ink Spots, The Blind Boys of various Southern States, are held in high regard but every male vocal group, boys or men, since the 1960s have aspired to emulate & been compared to the Temptations. “Beauty Is Only Skin Deep” is the 3rd of 4 singles in 1966 that all became #1 R&B records. Since 1964 the group had been producer/writer Smokey Robinson’s boys. “Beauty…”, their biggest hit since 1964’s “My Girl”, was preceded by “Get Ready”, falsetto lead vocal by Eddie Kendricks, the last of Smokey’s run & by “Ain’t Too Proud To Beg”, a David Ruffin led song produced by Norman Whitfield who was handed the keys to the studio & kept them until 1974. Ruffin had joined in 1964 to complete the “Classic 5” line-up. The other Temptations, Otis Williams, Paul Williams & Melvin Franklin all took their turn as lead on album tracks but it was the double whammy of Ruffin & Kendricks, 2 great soul voices who established the group as Motown’s & the USA’s top vocal group. The hits just kept on coming but there was trouble ahead. As the Supremes became “Diana Ross & the…” one member of the group imagined that “David Ruffin & the Temptations” was a possibility. David’s growing separation from the others, his erratic behaviour not helped by a taste for cocaine, led to a messy & litigious departure in June 1968. His replacement Dennis Edwards was not sure of his place when Ruffin showed up at the group’s shows & joined them onstage. 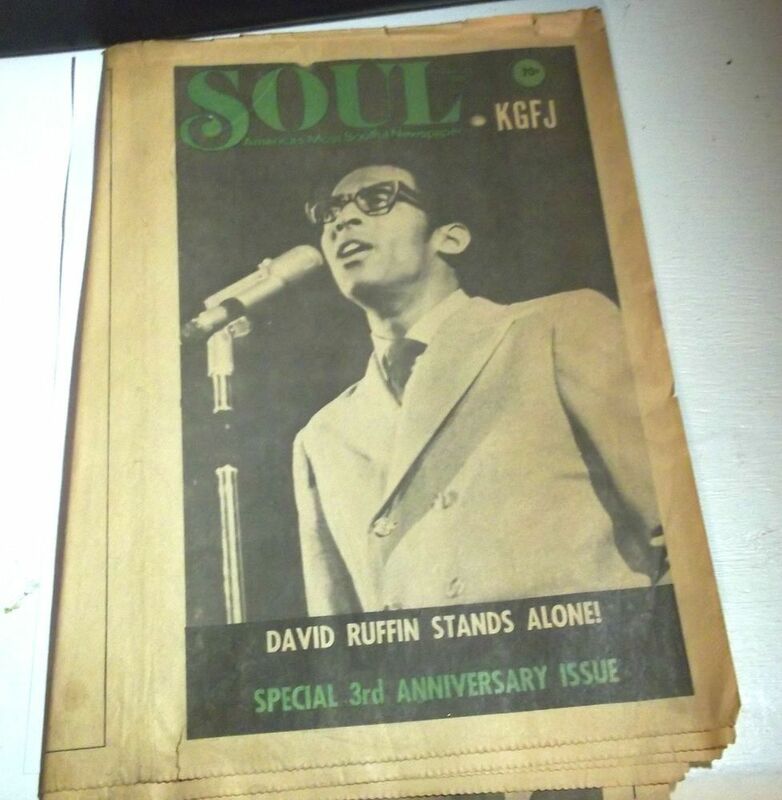 Eventually there were 2 solo LPs, still on Motown, in 1969 but a completed record was shelved by the label & David Ruffin never became the major star that he should have been. The lyrics of “You’re My Everything” (1967) were written by Rodger Penzabene, a new, young recruit to Motown. The song honours his wife but he was heart-broken when he discovered she was having an affair. 2 great songs, “I Wish It Would Rain” & “I Could Never Love Another (After Loving You)” came out of this upset, both perfectly interpreted by Ruffin’s anguished vocal, both #1 R&B hits. On New Year’s Eve 1967 Penzabene shot himself & died aged just 23, a poignant footnote in Motown’s history & a tragic end when there was surely so much more to come. Norman Whitfield began to exercise more control over the group’s material & in 1968 “Cloud Nine” was the first of his innovative “psychedelic soul” experiments to be released. 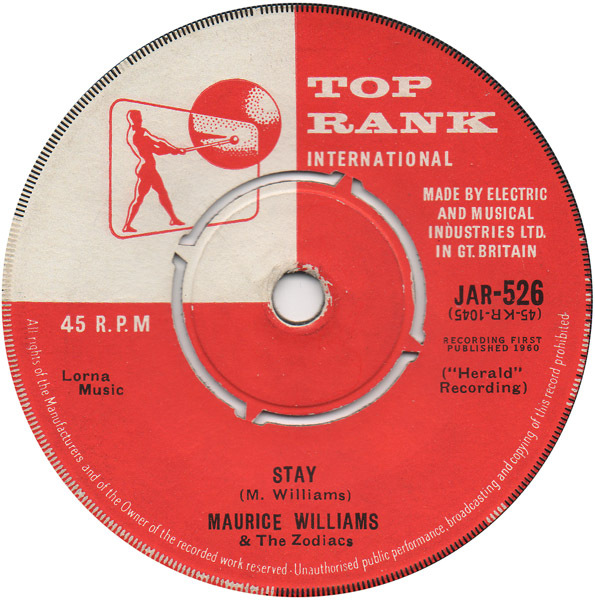 The single was successful but the Temptations were not fully convinced of the move away from their blockbuster ballads to the Sly & the Family Stone-influenced soul underground. They continued to release more mainstream LPs, 2 with Diana Ross & the Supremes, live from prestigious nightclubs in New York & London, even a Christmas record. 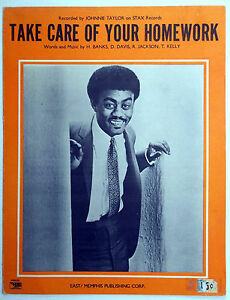 Whitfield continued to work with the Temptations until 1973 by which time only Otis & Melvin remained from the classic 5. 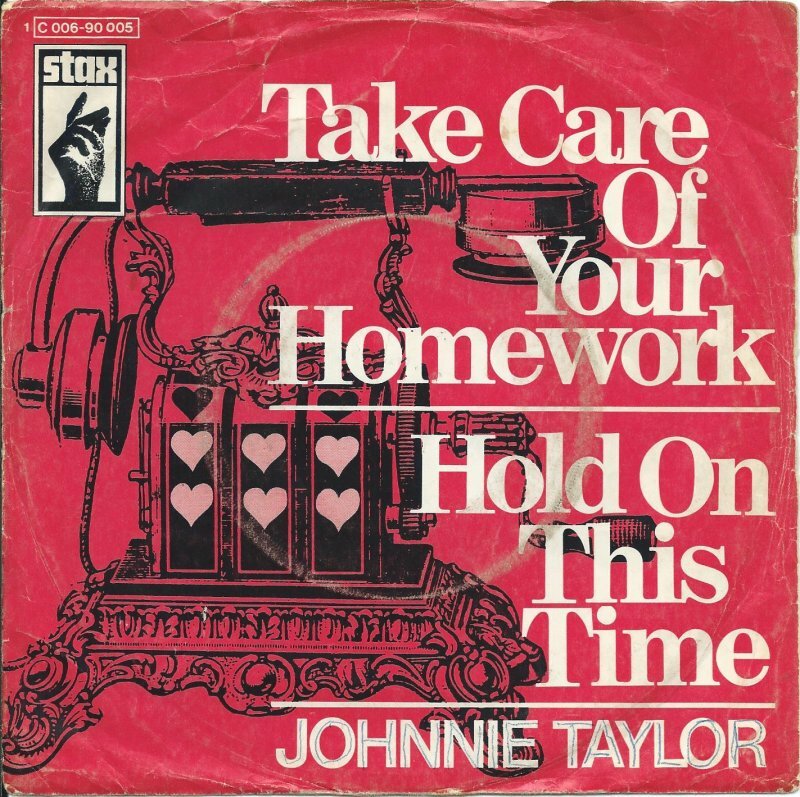 There are some terrific songs, more big hits from this later period…another time. These Ruffin/Kendrick led classics, a greater Motown maturity after the early hits, are the ones that did it for me then & still do.